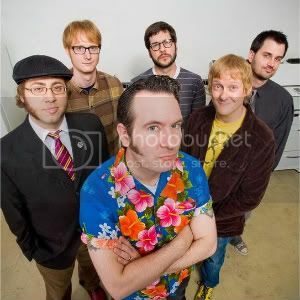 Huge forerunners of the ska punk genre, Reel Big Fish are now eight studio albums into their career and, despite falling from their mainstream major label days, the band have always held onto their underground die-hard fans. Always returning to the UK for headline tours at the beginning of the year, we jumped at the chance to speak with drummer Ryland Steen to talk about their latest record ‘Candy Coated Fury’, how the tour has been going, his favourite swear word and more. You can also read our review of the band’s performance that night by clicking here. NEWS: The Audition reunite for Slam Dunk Festival 2018!